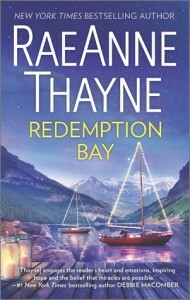 Redemption Bay is the second in a series, but it stands well enough alone with the gradual romance of Mackenzie and Ben. It is lovely small-town setting with hero reluctantly coming home while the heroine resists his charms at the same time she's selling the town so he can help save it. It's the kind of story I expect and enjoy from the HQN line.